Jens Soering, 51, was 18 when his girlfriend's parents were killed in Virginia. Jens Soering was 18 years old when the murders that sent him to prison for decades were committed. Soering was accused of killing Nancy and Derek Haysom, the parents of his former college sweetheart, Elizabeth, in their Virginia home in 1985. He was convicted of first-degree murder in 1990, and has been imprisoned ever since for a crime he says he "absolutely" did not commit. 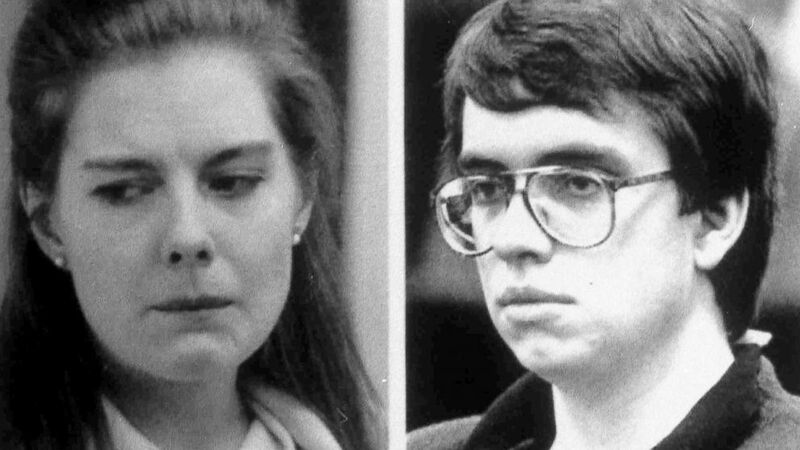 (AP) Elizabeth Haysom, left, in an undated 1987 photo and Jens Soering, in an undated 1990 photo. Elizabeth Haysom pleaded guilty to being an accessory-after-the-fact in the murders. Unlike Haysom, who rarely speaks to reporters, Soering has given many interviews over the years, pressing the case that he was wrongfully convicted. "It's been a very, very long and hard road for me," Soering told ABC News' "20/20" in a phone interview in August 2017. "But I think maybe the end is now finally in sight." Soering's crusade for freedom has attracted numerous A-list supporters, including actor Martin Sheen, who said he first learned about Soering while reading one of the six books Soering had published while in prison. "He had a very special writing gift," Sheen said. "So I began a correspondence which has gone on for I guess now about 12 years." Sheen led the question and answer session at a Los Angeles screening of the documentary “Killing for Love,” which is a deep dive into Soering’s case that was released in U.S. theaters in December 2017. Music mogul Jason Flom, who is credited with launching Katy Perry's career and is a founding board member of the Innocence Project, has also voiced his support for Soering. "He is somebody who could have and should have known better, and he was blinded by love," Flom told "20/20." Derek and Nancy Haysom were the parents of Elizabeth Haysom, who was in a relationship with a German-born fellow student named Jens Soering. Even German Chancellor Angela Merkle has advocated for Soering, who is a German citizen. But two of Soering’s most surprising advocates aren’t high-profile celebrities or hot-shot defense attorneys –- they’re police officers. Chuck Reid, an investigator who originally worked on the case, told "20/20": "As far as him physically killing these people, no, I don’t think he did." "If you break it down and look at what the evidence truly is, I don’t feel like it would support a conviction if he was tried today," Albemarle County Sheriff Chip Harding, who is reinvestigating the case, told "20/20." (Louis Benedict) Nancy Haysom (right) is seen here with her mother (left) in this undated family photo. In 1984, Soering, the son of a German diplomat, was a freshman and a Jefferson scholar with a full scholarship to the University of Virginia. He met Elizabeth Haysom, then 20, on campus. Her father, Derek, was a Canadian steel mogul, and her mother, Nancy, was the goddaughter of Lady Astor, who broke the gender barrier by becoming the first woman to serve in the British Parliament. Indeed, Elizabeth Haysom presented well to her classmates at UVA. "She had an international background. She had a British accent. She had this great shock of blonde hair hanging down, and she was the opposite of who you think might end up with Jens Soering," Amy Lemley, a former journalist who wrote about the case, told "20/20." Over several months, Soering and Haysom exchanged a series of handwritten letters, with some expressing their intense attraction and affection for each other. "Elizabeth, I love you completely, passionately, wholly," Soering wrote. “I want to be with you, around you, through you, tied to you,” Elizabeth Haysom wrote to Soering in a letter dated Dec. 23, 1984. 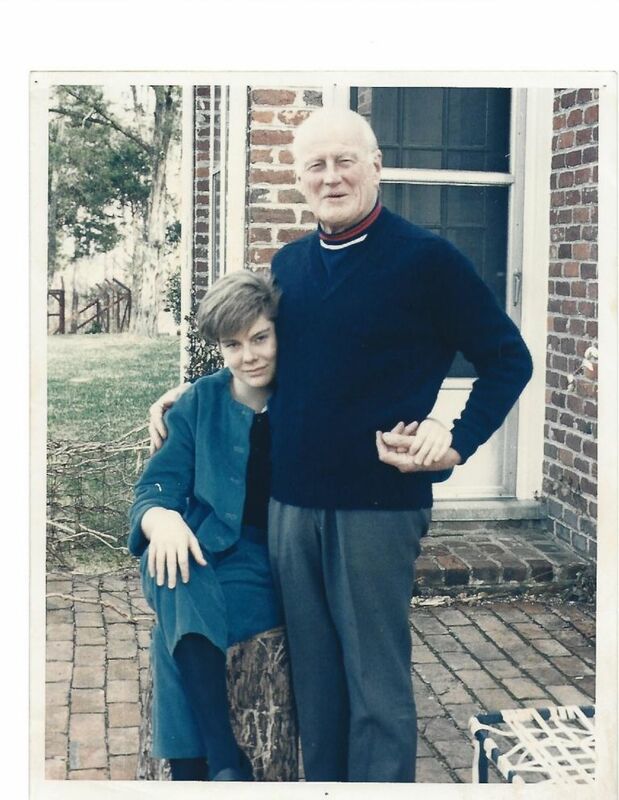 (Bedford County Sherriff's Office) Elizabeth Haysom is seen here in this undated family photo with her father, Derek Haysom. But in March of the following year, only three months into their relationship, tragedy struck when Elizabeth Haysom’s parents were found brutally murdered inside their rural retirement home in Boonsboro, Virginia. "I’d never seen anything like that before," Ricky Gardner, one of the first investigators to arrive at the scene, recalled to "20/20." Elizabeth Haysom's boyfriend Jens Soering initially refused to give his blood and fingerprints to police when asked. 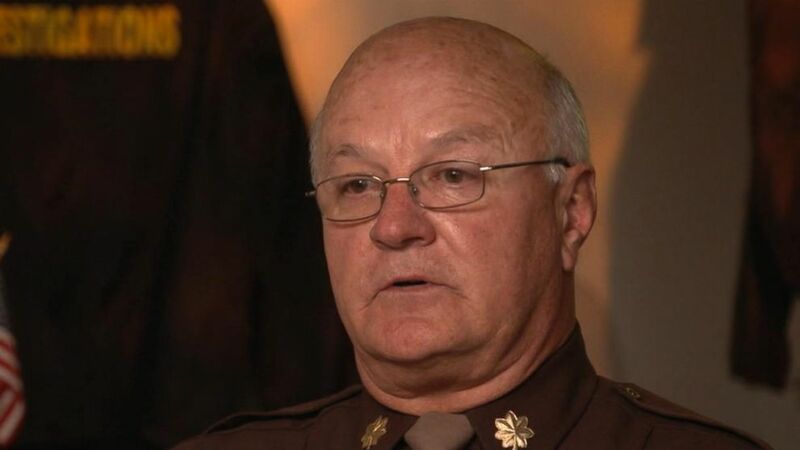 "It was up close and personal," said Reid, who was a Bedford County investigator in 1985 and worked the case with Gardener for a year before leaving the sheriff’s office. "To me, it was like a slaughterhouse," Reid continued. "The first thing I saw was Derek Haysom’s body was lying here with his head up against -— basically up against the corner of this fireplace." 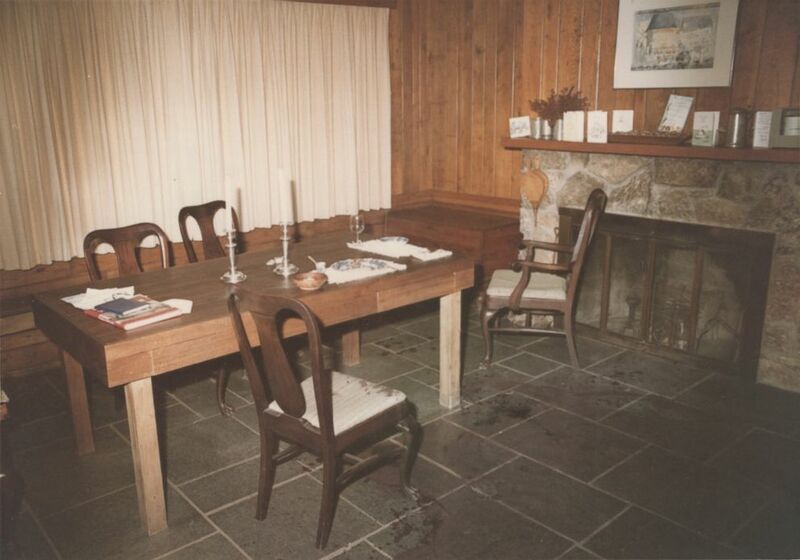 (Bedford County Circuit Court) Police photo shows the dining room at the Haysom household after the murders. Derek Haysom had been stabbed 36 times, once through his chest bone and into his heart. Nancy Haysom’s body was in the kitchen. She had six stab wounds. Both had been nearly decapitated. There were several theories of what happened to the Haysoms. Some say supposed signs of voodoo found at the crime scene pointed to a cult. Another working theory that Derek Haysom upset workers in the steel business fueled rumors of a Mafia-style hit. But police said there were no signs of forced entry, leading them to believe that whoever killed the Haysoms may have been someone they knew. Police interviewed the family. 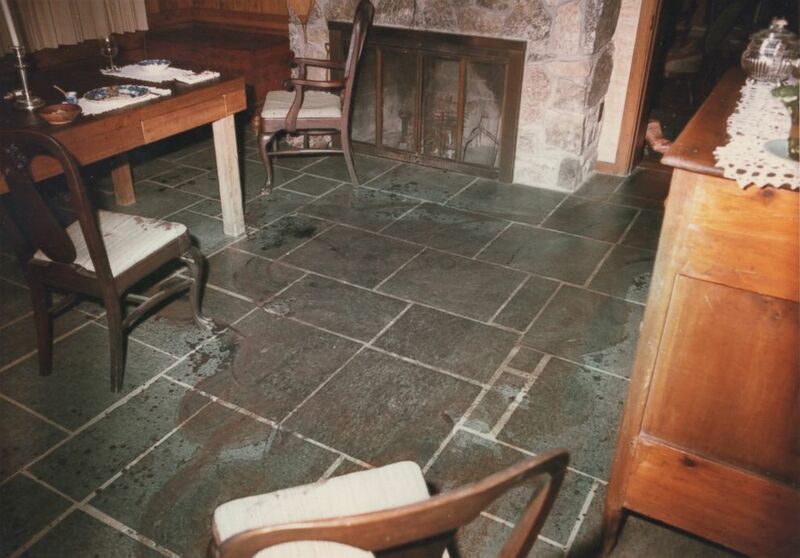 (Bedford County Circuit Court) Police photos shows blood on the dining room floor after the Haysom murders. Elizabeth Haysom, the Haysoms' youngest daughter, told police she and Soering were 200 miles away at the time of the murders. She said they had rented a car and drove to Washington, D.C., where they checked into a hotel, went sightseeing and watched movies. 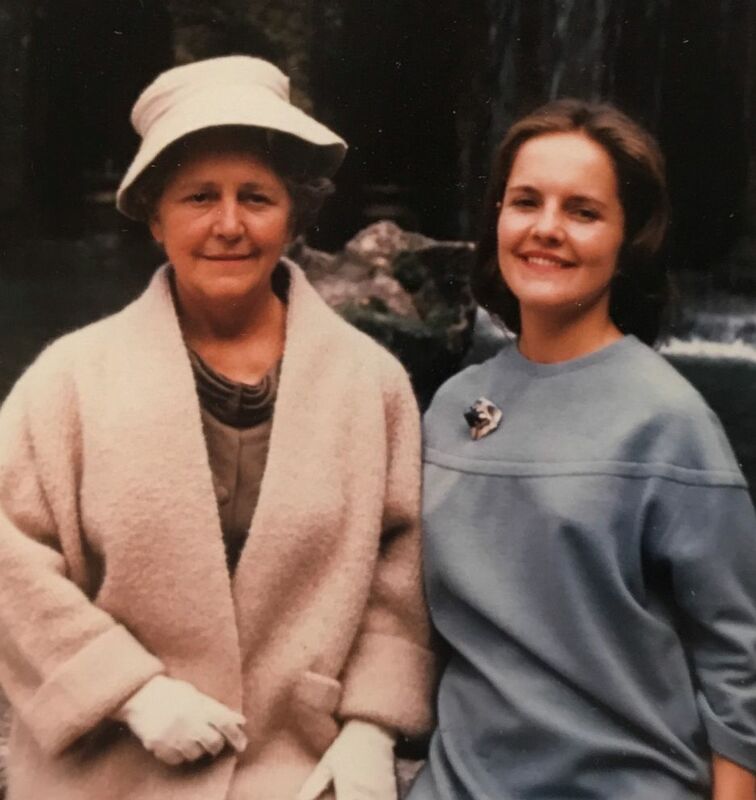 While she told police she loved her parents very deeply, her uncle Louis Benedict, Nancy Haysom’s younger brother, says the relationship between mother and daughter wasn’t as rosy as Elizabeth Haysom described it. "I would say that they locked horns," Benedict told "20/20." In their investigation, police found the agreement for the rental car Elizabeth Haysom said she and Soering used that weekend and discovered the mileage was 669 miles. The round trip distance between UVA’s Charlottesville campus, where Elizabeth Haysom and Soering attended, and Washington, D.C., is only 240 miles. "If you went from Charlottesville to D.C., D.C. back to Lynchburg, Lynchburg back to Washington, and then back to Charlottesville, that’s pretty close to being 669 miles,” Gardner said. When asked about the disparity in mileage, Elizabeth Haysom told police she and Soering got lost. She also cooperated with police and agreed to give her fingerprints and blood samples. DNA testing was not yet used in criminal courts, so police were looking to match traces of type O blood at the crime scene. 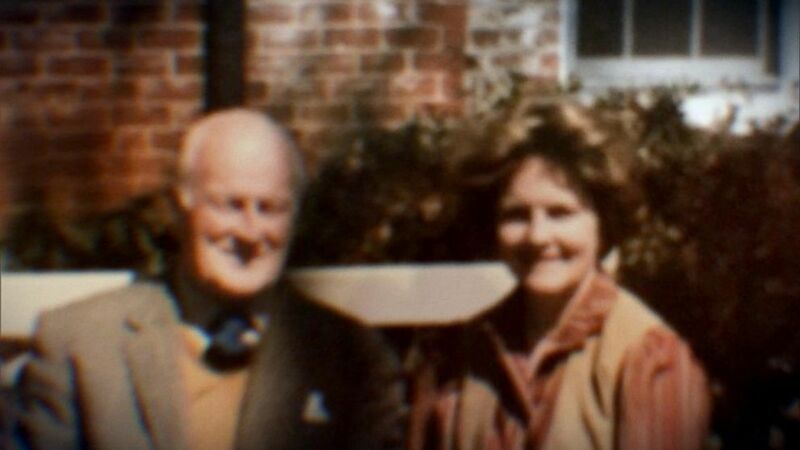 Since the blood was neither Derek’s nor Nancy Haysom’s, police assumed it must have belonged to the killers. 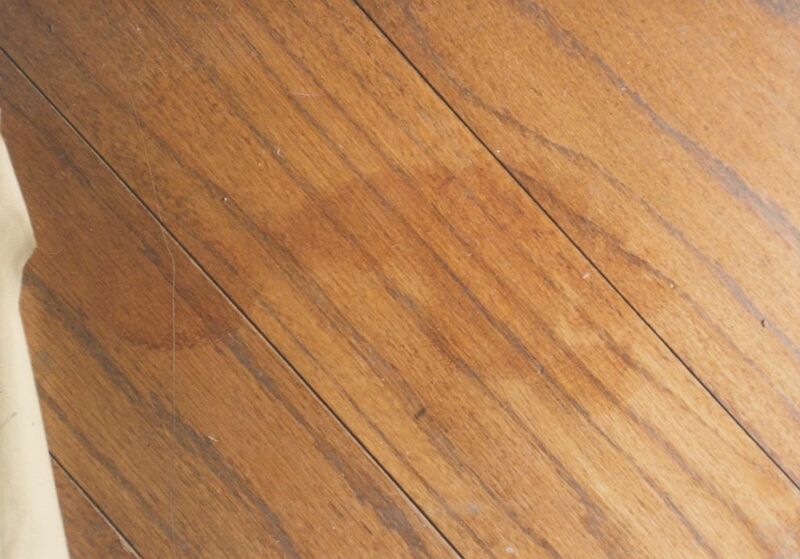 (Bedford County Circuit Court) Police photo appears to show a bloody footprint at the Haysom crime scene. But Elizabeth Haysom has type B blood, and while her fingerprints did show up on a vodka bottle at her parents’ home, it didn't raise a red flag because she visited the home often. Police also interviewed Soering. Gardner says Soering became more of a person of interest in the case when he refused to give police his blood and fingerprints. Six months after the murders, Haysom and Soering disappeared. Unbeknownst to investigators, the couple was traveling across the world, keeping a journal of their exploits, along with maps and receipts. 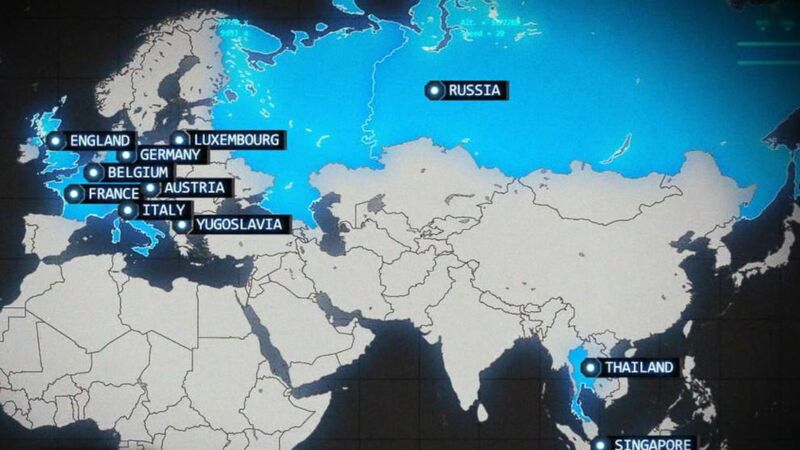 Their six months in Europe ended when they were arrested on suspicion of committing fraud in England. After Soering told London detectives where they were staying, the detectives discovered their journals and letters to each other. Terry Wright, who was a Scotland Yard detective at the time, told "20/20": "There was also letters that were talking about things like doing voodoo on her parents and, 'I wish they would lie down and die.'" Another letter written by Soering that London detectives found named Reid and Gardner, the investigators in Virginia. "I kept telling everybody that I thought I’d already decided I thought they’d done a murder," Wright said. Wright contacted authorities in Virginia, told them they had Soering and Haysom in custody, and asked if her parents had been murdered. "I said, 'I think you need to come over,'" Wright said. Scotland Yard detectives and Gardner questioned the couple about the murders, and Soering eventually told them he went to the Haysom home the weekend of the murders and confronted the parents about why they didn’t support his relationship with their daughter. He told the detectives that the confrontation turned violent, and he admitted to slashing the couple with a knife. During her interviews, Haysom said that when Soering returned from visiting her parents he was covered in blood and told her he had killed her parents. Days later, a jury in Virginia indicted Haysom on two counts of first-degree murder; Soering was also indicted on two counts of murder and a capital murder charge. Soering fought extradition for years, wanting to be tried in Germany, where he believed he would have faced a lighter sentence. 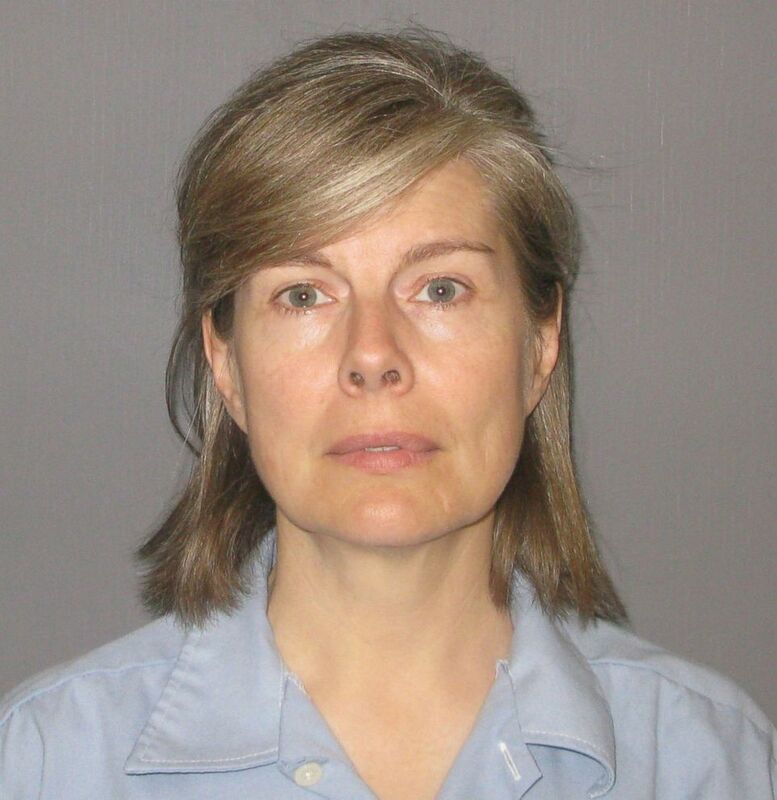 (Virginia Department of Corrections) Elizabeth Haysom is seen here in this undated photo. Haysom returned to the U.S. in 1987, and just before her trial began, she pleaded guilty to being an accessory-before-the-fact to the murder of her parents. At her sentencing, she admitted she told Soering she wanted her parents dead, but insisted she didn’t actually mean it. Haysom, then 23, was sentenced to 90 years in prison for the murders of her parents. Incarcerated at the Fluvanna Correctional Center for Women in Troy, Virginia, Haysom, who became eligible for parole in 1995, must be released no later than 2032 -- when she will be 68 years old -- under mandatory parole. Soering was eventually extradited to the U.S., after authorities agreed not to seek a death sentence. But when his trial began in 1990, Soering changed his story. He said he, not Haysom, had stayed behind at the hotel in Washington, D.C., while she went to the home and killed her parents. Soering said Haysom hated her parents and that his false confession in London was an attempt to take the blame for Elizabeth to save her from a death sentence if she got caught. "I loved Elizabeth and I believed that the only way I could save her life from the electric chair was for me to take the blame, and that I personally really faced no more than a few years in a German prison,” Soering testified at trial. 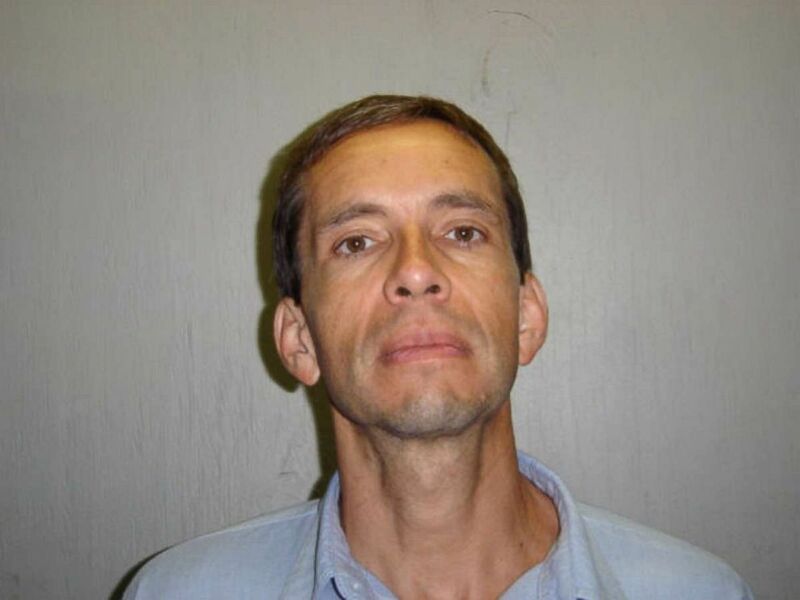 At the end of his three-week trial, Soering was convicted and sentenced to life in prison. He has spent nearly every day since fighting to free himself. “I was not at the house,” Soering said. (Virginia Department of Corrections) Jens Soering is seen here in this undated photo. While Soering has several supporters, Gardner, the original investigator, continues to believe he is guilty. But Soering and those fighting to clear his name say the strongest proof of his innocence is evidence that has only recently come to light: experts on his team say DNA shows the presence of two men other than Soering at the crime scene, which Soering mentioned in his recent petition for pardon. That has convinced Jason Flom and others that Haysom is the real killer and that she had accomplices. "What actually must have happened is that she went to the house with two males, and that things took a very, very bad turn from there. And now the DNA backs that up," Flom said. But Dan Krane, a DNA expert whom "20/20" consulted, questions whether the results are really that conclusive. Krane says it’s possible the DNA that Soering's supporters say is supposedly from two other men is actually from Derek Haysom. "I think we can also say that there's no affirmative indication of anybody other than the victims being present at the crime scene as well," Krane told "20/20." In September 2017, some of Soering’s supporters held a news conference in Charlottesville, urging then-Virginia governor Terry McAuliffe and parole officers to set Soering free. McAuliffe took no action, and now Soering’s petition is in the hands of Virginia's new governor, Ralph Northam. Detectives in London contacted authorities in Virginia, when they found suspicious letters belonging to Elizabeth Haysom and Jens Soering. As for Elizabeth Haysom, Soeiring said he tries "not to think about her." "I’m trying to look towards the future," he continued. "I’m trying to stay positive, and getting mad at people, that doesn’t get me anything."